MAP (minimum advertised price) is a hot topic among Amazon sellers. Some suppliers have very strict MAP policies, while others couldn't care less about your pricing strategy. As a responsible Amazon merchant, it's your job to stay on top of (and comply with) such policies. If you don't, you might find yourself constantly looking for new vendors. In this post, we'll share an easy way to track vendor MAP policies. It's important for merchants to understand how MAP policies work. 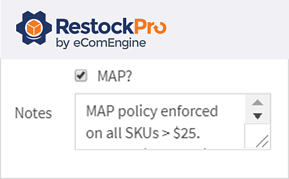 Generally speaking, MAP policies require sellers to set advertised prices at or above a specified amount. Each SKU can have its own MAP, but not all SKUs have MAPs. For example, let's say that you sell high-end leather handbags. The vendor of your best-selling handbag enforces a $200 MAP, which means you should never advertise a price of $199.99 or below. Of course, some of your competitors occasionally push the envelope, dropping the Buy Box price well below $200. This type of strategy is shortsighted, but some sellers are willing to risk noncompliance for a temporary revenue boost. When competitors ignore MAP policies, it puts honest sellers like you in a difficult situation. Should you follow suit and take your chances? Should you step in and be a tattletale? Should you do nothing and wait until the Buy Box price goes back up to MAP levels? Unfortunately, there's no easy answer. As you might imagine, brands have had a difficult time keeping up with MAP compliance. In an era of real-time repricing and dynamic Buy Box variables, a MAP violation may come and go before the vendor is even aware of what happened. Thankfully, technology companies are beginning to offer MAP tracking software. These platforms monitor prices across multiple marketplaces, including Amazon.com, eBay.com and even privately owned eCommerce websites. Brand owners receive violation alerts and screenshots, allowing them to take swift enforcement action. 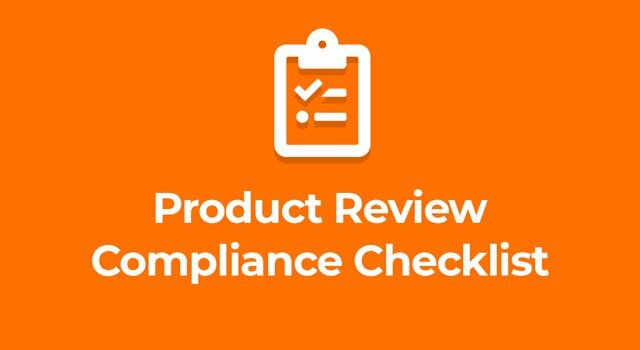 What types of actions can manufacturers take for noncompliance? Clearly, that is up to each brand owner as defined by previously signed retail agreements. Some brands have been known to terminate their distribution relationships with a single infringement. Others utilize a warning system. It just depends on the situation. Here's a tip: MAP compliance is much easier when you're using an eCommerce supplier management software (get a 21-day trial). For example, RestockPro has a built-in field for tracking which suppliers have MAPs - and which do not. On the supplier's record, you can also add notes with MAP policy details. Are you storing copies of vendor MAP policies in a cloud-based document management system? Just copy and paste the policy link into the "notes" field. Now, you're just a click or two away from the information you need. This information is particularly useful for your restocking workflow. Is the current Buy Box price below MAP? Just click on the vendor's name to view your MAP notes for that supplier. No more guessing (or hoping) that you're in compliance. Your vendor relationships are far too important to jeopardize. Protect those relationships by developing a more reliable MAP management system. Give RestockPro's simple, yet effective solution a try. Ready to track vendor MAP policies with less effort? Sign up for RestockPro for free!